Not everyone will adopt – and that’s okay. God certainly doesn’t call every family to the same thing, but he does encourage all of us to help the least of these, which includes orphans that may never have a family to meet their basic needs or families in your communities who need extra help to survive. 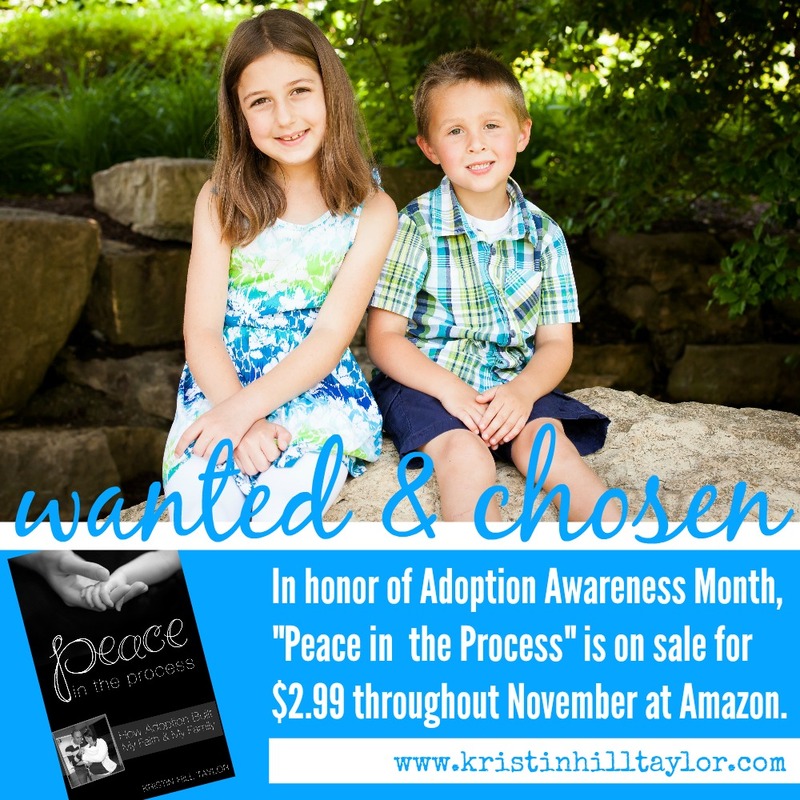 National Adoption Awareness Month is a good time to think about these orphans. Regardless of where you live or how much money you have, there are plenty of ways you can serve these children who are loved and wanted and chosen by the Creator of the world. COMPASSION INTERNATIONAL :: Yes, you can sponsor a child for $38 a month and ensure medical, physical, educational and spiritual needs are met for a particular child. This sponsorship becomes a relationship as letters are exchanged. My kids especially love when our two sponsored kids draw us pictures. Coloring is a universal language, apparently. But if you can't or already do sponsor a child, you can also make one-time donations to help with critical needs. We especially love gifting families and communities items from the gift catalog. You can also give to the Child Survival Program. These centers help babies who aren't old enough for the monthly sponsorship program and their mothers. So you donation would help prevent illnesses with medical check-ups and immunizations, provide nutrition for pregnant women and babies, prepare moms with child-care training, and proclaim Jesus to these women in poverty. SAMARITAN’S PURSE :: This is the ministry that organizes Operation Christmas Child, which sends shoe boxes packed with toiletries and treats to children in more than 130 countries. Samaritan's Purse has worked with local churches and other ministries to send these shoe box gifts to more than 100 million kids since 1993. This year, the shoe boxes are being collected at local sites this week. You can find out what to pack inside the shoe boxes, where they can be dropped off, and where they are shipped at the Operation Christmas Child website. 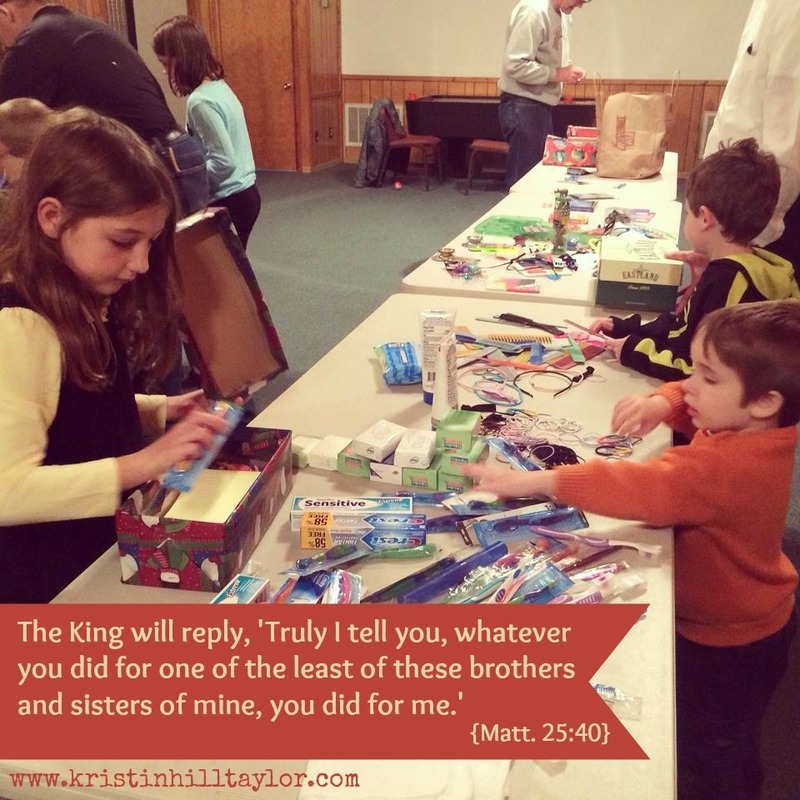 We stuffed shoe boxes with friends from church last week. It's a great way to get kids involved in giving and make a difference in someone else’s life. We’ve also purchased items from Samaritan’s Purse gift catalog. LOCAL CRISIS PREGNANCY CENTERS :: We love how the staff at our local crisis pregnancy center values life and encourages mothers. Donations and volunteers are always welcome. And this doesn’t always mean going out and buying something. When my kids would move out of a diaper size but I still had unused diapers in that size, I just bagged them up and dropped them off. The staff here sorts them and re-bundles them. We also donated our crib when we no longer needed that piece of furniture. FAMILIES WHO ARE ADOPTING :: Having been there, adoption processes are better endured with friends. We had friends pray, help with fund-raisers, write letters of recommendation, and encourage. They came alongside of us and shared in the journey. FAMILIES WHO ARE FOSTERING :: Sometimes families who foster become home to a child with such little notice, meaning they don’t always have the right sized clothes. I’ve saved tubs of my kids clothes as they out grow them, but I like to pass them along to other families who can use them. From what I’ve heard about the foster system, families venture down a sometimes rocky road when they open their home – sometimes for a short time and sometimes forever – to these children. Not only are they adding a person into their family, but they’re navigating a bureaucratic system that seems to cause frustrations and disruptions. LOCAL FOOD PANTRIES :: If you’re in Calloway County, the Needline Food Project is an easy, consistent way to help families whose cabinets may be bare. Every other month, a neighborhood coordinator will come pick up your bag of groceries and deliver it to Needline. My family picks up extra canned goods when we do our regular grocery shopping and even the kids understand it’s a way to give back to our neighbors. This time of the year there are extra opportunities to give through various gift collections. Each of us can’t participate in them all, but we can all give in some way. I encourage you to find a way that fits your family, build some traditions around helping the least of these, and support those in the process of expanding their families. 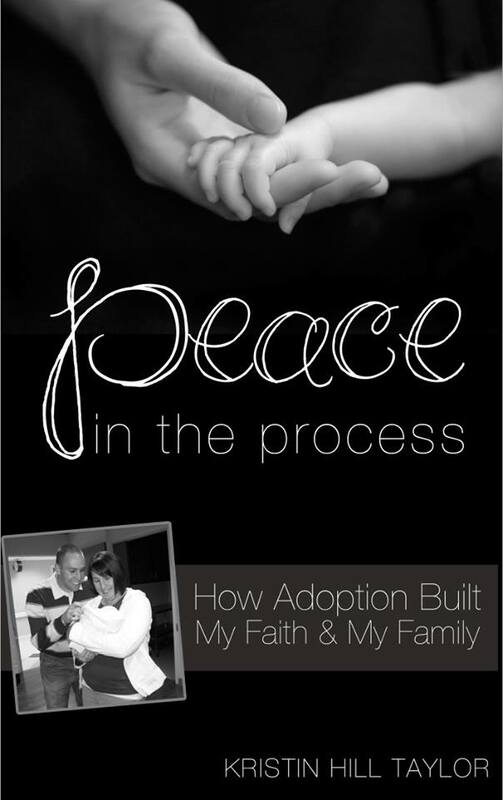 In honor of National Adoption Awareness Month, my ebook "Peace in the Process: How Adoption Built My Faith & My Family" is on sale for $2.99 at Amazon. 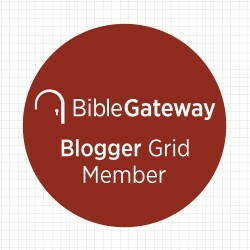 I'm sharing an excerpt about how God hears the desires of our hearts regardless of our words at Mandy's Hearts Undaunted blog today. Come join me there! Thanks, Beth! The Compassion website is packed with good info. I hope you all enjoy the conversations you'll have about it. I love how you have spelled out very specific ways to help. We have a child through World Vision and it was so much fun to participate in a special Christmas gift for him. Thanks, Jen! I'm glad to see your smiling face here. :) God always reminds me this time of the year how much fun it really is to give. Love this Kristin! 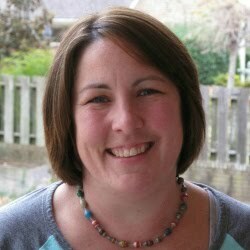 I too have adopted, but also shared (some similar) ways on my blog for people to help orphans! It's encouraging to see others sharing this kind of information as well! Blessings to you. Great minds ... :) I'm going to head over and check out your blog. Thanks for coming by here, Kendra!